To apply to Ryman Arts, fill out the form below. Follow up by submitting two drawings by mailing or hand delivering them to our office in downtown Los Angeles: Ryman Arts 1933 S. Broadway, 11th Floor, Suite 1138, Los Angeles, CA 90007. To see requirements and eligibility to apply to Ryman Arts, click here: Application Information. If you prefer to apply with a paper form, you can download one here or call the Ryman Arts office to have one mailed to you. Why are you applying to Ryman Arts? How would you benefit from the experience? Describe your future goals as an artist. Describe your previous art education challenges or obstacles you had to overcome in pursuing your work as an artist. Include anything else you would like us to know about you. Have your essay ready, and paste it into the text box at the end of this form. Email addresses for yourself, a parent or guardian, and a teacher who will be recommending you. After you complete the application, your teacher will receive an email from us asking for their brief written recommendation of you. 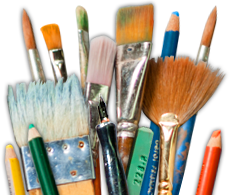 Have you attended art classes outside of school? If so, where and when? Have you applied to Ryman Arts before? Which campus location would you like to attend? Your application essay. The essay should be 500 words or less, describing your reasons for applying to the program and how you intend to benefit from the experience. Will you be mailing your drawings to us, or hand-delivering them to our offices?